$10 off on our already affordable prices of spay, neuter, declaw and dental cleaning to our first time clients. For years Crossroads Animal Hospital has been offering medical care for pets in the Plainfield, IL community. If you live in Plainfield or the surrounding area: Plainfield, Joliet, Oswego, Romeoville and Crest Hill in IL, then you have picked the perfect site to find a veterinarian. Dr. Bhupinder Beri is a licensed veterinarian, treating all types of dogs and cats. Your pet's health and well being is very important to us and we will take every step to give your pet the best possible care. 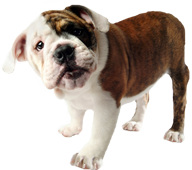 We give your pet the best veterinary care at Cross Roads Animal Hospital. Bhupinder Beri is experienced in all types of conditions and treatments. Beyond first rate pet care, we make our clinic comfortable, kid-friendly, and a very calm environment so your pet can relax in the waiting room and look forward to meeting his or her own Plainfield veterinarian. Crossroads Animal Hospital is a full service animal hospital that has radiology, pathology and surgical facilities to give your pet the best possible treatment. Our veterinarian clinic provides quality medical and surgical care all at affordable prices for your beloved animals along with grooming and bathing services. We believe in keeping your pet in the highest grade of health, offering preventative care, spay, neuter, dentistry, and declawing at affordable rates. Don’t get wet washing your dog, we’ll take care of grooming and bathing for you. Do you have more than one pet? Ask our veterinary team about a multiple pet discount on our already affordable rates. Animal Hospital – Routine care, vaccinations, new puppy and kitten exam, soft tissue surgery, diagnostic services,internal medicine. Pet Care – Low cost spay, neuter, declaw, dentistry, grooming, surgery. Pet Grooming –Haircut, Bath and brush, nail grinding, ear cleaning. We have a number of resources for you to learn about how to take better care of your pets. Browse around and look at our articles and pet videos. The best veterinary care for animals is ongoing nutrition and problem prevention. If you want to ask a question call 815-609-5444 or email us and we'll promptly get back to you. Plainfield Veterinarian Clinic is very easy to get to, and you can find directions on our Contact Us page. You can also subscribe to our newsletter which is created especially for Plainfield pet owners. In between your veterinary visits, your pet will benefit from you reading these free informative articles. At Crossroads Animal Hospital, we treat your pets like the valued family members they are. "They are awesome at Crossroads!! They take should good care of our dogs and their prices are totally reasonable!! Highly recommended!!."